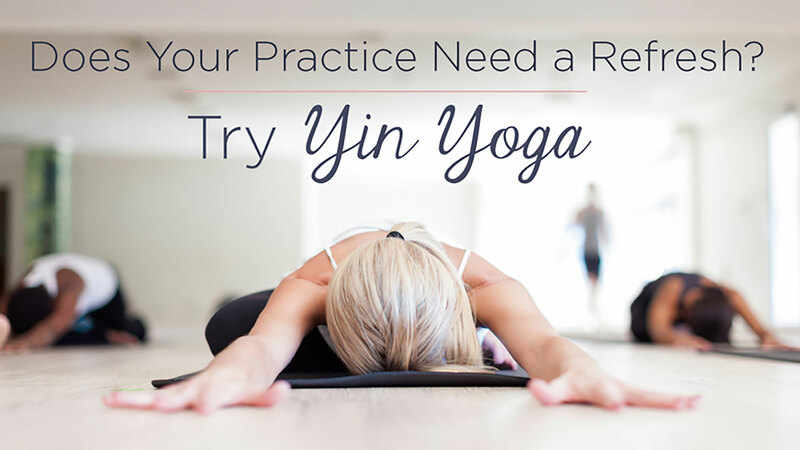 Yin Yoga allows for the Yogi to reconnect and surrender during his or her practice. In order to survive bad or even traumatic experiences in life, sometimes we need to disconnect from life. Yin Yoga allows us to find a way to reconnect with our body, mind, and soul. This kind of yoga allows for the body to be still and restore itself, and can be more difficult for some compared to other types of yoga because of the ability to explore a deeper experience on the mat. As this particular type of yoga targets your connective tissue, joints, and ligaments, we will find the tension in our body and mind, and then we will ease it. If your muscles are feeling particularly tight, focusing and using your breath within the poses will significantly aid in allowing you to stretch farther. Yin Yoga teaches us to reroute our minds away from any pain and discomfort that we may be feeling during the process of our practice. I, in turn, teaches us to do the same in other life experiences. And balancing the physical parts of our practice, also known as Yang. It is more than just a relaxing style of yoga, as it aids in keeping the mobility of our joints and bones in top form. The Yin is a great way to balance out the Yang, a more physically demanding side of yoga. This type of yoga can be added as a direct follow-up to another more difficult type, or altered with other kinds, every other day or a couple of times a week. As we store our emotions within, this yoga offers a great way to release any that have been stored within us for quite some time. As a result, you may feel emotional during a class or personal practice. When you release the physical tension or knots within the body, some of the emotional blockages you have been experiencing may also be released. In a way, it is much like going to a massage therapy session and working out tension within your body, so that you are better able to cope and reconnect with life again. As this style forces you to slow down, your thoughts may slow down along with it. It is your time to connect with yourself and your emotions and is less about hitting a pose with perfect alignment. Yin provides some great restorative poses and helps maintain a healthy internal body. Yoga is all about finding balance with your body, mind, and soul, and so it is important to introduce more than one type of yoga into your practice to become more balanced. If you feel as though you have disconnected from life, people, or experiences, it may be time to give this powerful, restorative yoga a try and allow these slower, still poses, to connect deeper within yourself.